If you've been meaning to upgrade to the latest digital radio equipment, then there's never been a better time. With the advanced features of MOTOTRBO two-way radios, crystal-clear audio and intelligent data applications, your teams will work more safely, efficiently and be better connected. Are now more affordable than ever. The affordable hand held portable is compatible with either Digital or Analog radios. 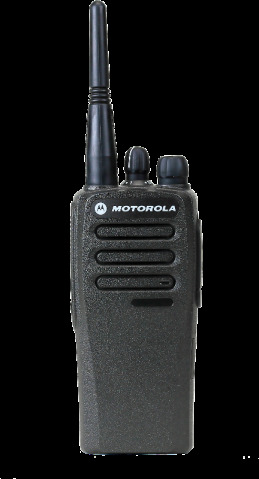 Voice Announcement, DMR compliant, MOTOTRBO compatible. Call for special offers and discounts. the CP200d has superior audio quality, outstanding coverage, long-lasting battery life and more.